Automechanika Johannesburg is rapidly gaining increased ground not only on the African continent, but also on the international automotive aftermarket scene. This year's show, which takes place at Expo Centre, Nasrec, from September 27-30, will be the fifth Automechanika show to be staged in South Africa and is one of 16 in the world. As Konstantin von Vieregge, the CEO of SA Shows Messe Frankfurt, explains: “Messe Frankfurt views its only Automechanika trade fair in Africa as increasingly important not only for South Africa, but also for Sub-Saharan Africa where sales of new vehicles have plunged, making the need to keep existing cars, pick-ups and trucks on the road critical for both business and personal transport." "The fact that Messe Frankfurt, which launched the Automechanika brand in 1971, has recently set up a local subsidiary company, SA Shows Messe Frankfurt, is an indication of the priority placed on growing our exhibition business in Sub Saharan Africa substantially. 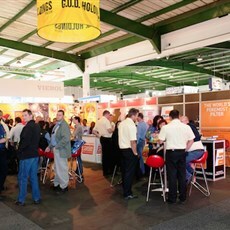 This year will see Automechanika Johannesburg co-located at the Expo Centre with three new, related shows: Futuroad Expo, an international truck, bus, and trailer show; Scalex Johannesburg, a trade fair for transport systems, infrastructure, and logistics solutions; and REIFEN, a trade fair for the tyre industry. "This four-shows-in-one concept is a huge boost for businesses operating in the automotive and transport environments, not only here in South Africa, but also, as mentioned earlier, in Sub Saharan Africa," says Philip Otto, the Automechanika Johannesburg Show Director. "This event will now be a particularly attractive offering for businesspeople north of our borders, as we offer four, specialised exhibitions at one venue over four days. We are departing soon on a promotional road show into Sub Saharan African where we will make stops in Namibia, Zambia, Kenya and Mozambique. We expect this initiative to result in a significant jump in the number of visitors from outside South Africa who will come to Expo Centre in September as we optimise the synergies that exist in the industry sectors served by these related trade shows. 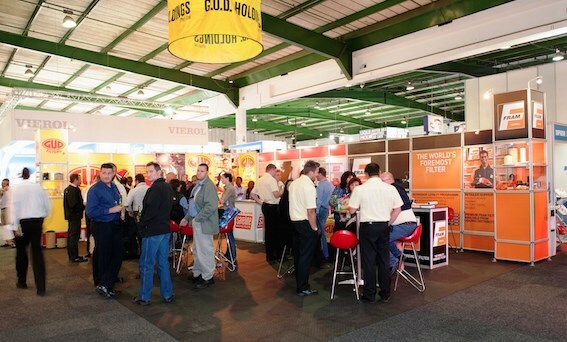 "Over the years, since the first Automechanika trade fair was held in South Africa in 2009, we have continued to grow the number of exhibitors and visitors to these biennial events. We already have more than 500 exhibitors confirmed for this year's Automechanika Johannesburg and the co-located shows and still have three months to go to increase this number," continues Otto. The Futureroad Expo replaces the Johannesburg Truck and Bus Show which was previously co-located with the Johannesburg International Motor Show and will be Sub Saharan Africa's leading professional event for the truck, bus, and trailer industry, bringing together the suppliers and buyers in the region to see new products, innovations, technologies, and services, to share ideas and build business relationships. There are plans to stage a half-day conference for this sector of the transport industry. "There has been positive response to the Futuroad Expo as it is a business-to-business (B2B) event and not a consumer/B2B exhibition as was the case with the Johannesburg Truck and Bus Show in the past," adds Josh Low, Group Exhibitions Director of SA Shows Messe Frankfurt. "The fact that it will be a four-day show instead of an 11-day exhibition is also finding favour with exhibitors." "In addition, the Autobarn retail stores network is meeting at the show, the Gordon Institute of Business Science will hold a conference on "Doing Business in Africa" and the RMI, together with its British associate, the Institute of the Motor Industry (IMI) is organising a skills conference in addition to having a joint industry breakfast with MISA. Overall, I believe we are putting on a comprehensive show that is backed by a healthy programme of conferences that all add up to making Automechanika Johannesburg 2017 a 'must' for all those involved in the South African transport and motor industries," concludes Low.